And while communications still haven’t been reestablished with the rover, the MRO was able to spot the Opportunity rover from orbit. The image was captured while the orbiter was at an altitude of about 267 km (166 mi) above the Martian surface. The white box marks a 47-meter-wide (154-foot-wide) area centered on the rover. This dust storm was one of the worst in recent Martian history. It began back in May, starting in the Arabia Terra region and then spreading to become a planet-wide phenomena within a matter of weeks. This storm caused the skies over the Perseverance Valley, where the Opportunity rover is stationed, to become darkened, forcing the rover into hibernation mode. This is due to the fact that Opportunity, unlike the Curiosity rover, relies on solar panels to keep its batteries charged. The prolonged dust storm also meant that the rover might not be able to keep its heaters running, which protect its batteries from the extreme cold of the Martian atmosphere. For this reason, there were fears that Opportunity might not survive this latest dust storm, depending on how long the storm lasted. Dust storms are a pretty regular occurrence on Mars, and generally occur when the southern hemisphere experiences summer – which coincides with the planet being closer to the Sun in its elliptical orbit. Due to increased temperatures, dust particles are lifted higher into the atmosphere, creating more wind. The resulting wind kicks up yet more dust, creating a feedback loop that NASA scientists are still trying to understand. Planet-wide dust storms are a relatively rare occurrence, taking place every three to four Martian years (6 to 8 Earth years). Such storms have been viewed many times in the past by missions like Mariner 9 (1971), Viking I (1971) and the Mars Global Surveyor (2001). In 2007, a similar storm took place that darkened the skies over where Opportunity was stationed – which led to two weeks of minimal operations and no communications. Whereas the 2007 storm had an opacity level (tau) of about 5.5, this latest storm had an estimated tau of 10.8. The last transmission that the rover’s science team received from the probe (on June 10th) indicated that the rover’s temperature had reached about -29 °C (-20 °F). 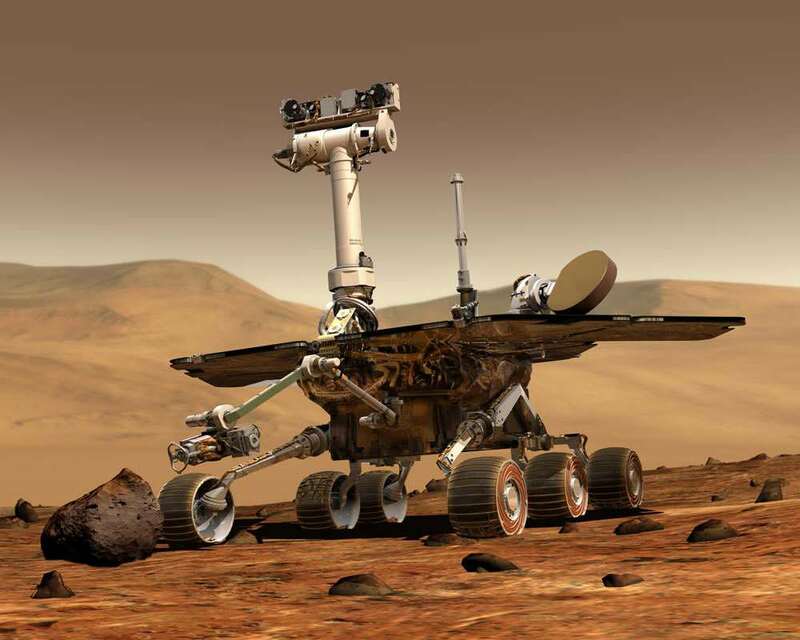 On Sept. 11, JPL began increasing the frequency of commands it beams to the 14-year-old rover. While things are still uncertain for Opportunity, it is nothing if not a survivor. When the rover first landed on Mars in 2004, it was only expected to remain in operation for 90 Martian days (sols), or a little over 92 Earth days. However, as of the penning of this article, the rover has remained in operation for 5358 Earth days (5209 sols). This works out to about 14 years, 8 months, and 1 day – almost 60 times the duration of its original mission. As such, there are many who want to see it recover from its latest hibernation period and get back to what it does best! Here’s hoping we hear from this tough little rover soon!